On November 11th, 1918, the Great War ended. Known at the time by that name, it has since come to be known as World War I because, not heeding the message associated with its conclusion at the time, the world erupted into violence again 30 years later. Even still, November 11th has significance in many countries as a reminder of those hostilities, the horrific nature of war and those brave souls who gave their lives. You might be wondering what this has to do with travel. Quite simply, it has everything to do with travel. With a few exceptions, we live in a world where travelling to other countries, even within our own, is seen as a right and is a relatively carefree activity. During the fighting of the world wars, or even any major hostility that is going on, travel within those areas was often impossible and at the very least ill advised. While the face of war has changed dramatically in the almost century since 1918, make no mistake about it – if war were to break out again, your backpacking dreams would take a back seat. Do you love open borders and meeting new cultures? Then celebrate this date. Sure, those on the losing side of the war may not view it as a time for celebration (and in those countries, November 11th is not recognized as any sort of holiday), but for travellers of every background, this date is significant to the activity we love. If you find yourself on the open road this November 11th, be sure to pay attention to the country you’re in, find out if they observe this holiday and follow suit. While it is observed in every country in the British Commonwealth, Remembrance Day has the most significance in Canada and the U.K. where it is the primary military holiday. Australia and New Zealand also observe November 11th, but it is not as significant as ANZAC day, which is held in the spring to honour all military personnel. It is not uncommon for gatherings to take place in each of the nations’ capitals, read the poem ‘In Flanders Fields’, play the trumpet for the ‘Last Post’ followed by two minutes of silence. If you’re in these countries on November 11th at 11am (quite often right at 11:11), be sure to stand quietly and pay your respects. 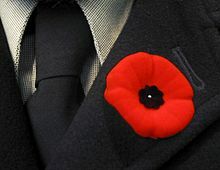 Being heavily involved and harmed in World War I, these two countries observe the holiday as well as Armistice Day. Belgium, for those unaware, was the site of most of the hostilities during the war and as such, most tourism in the country is centred around old battlegrounds. The United States of America didn’t get involved in World War I until very late but still observes this holiday, as well as Veteran’s Day in the spring.